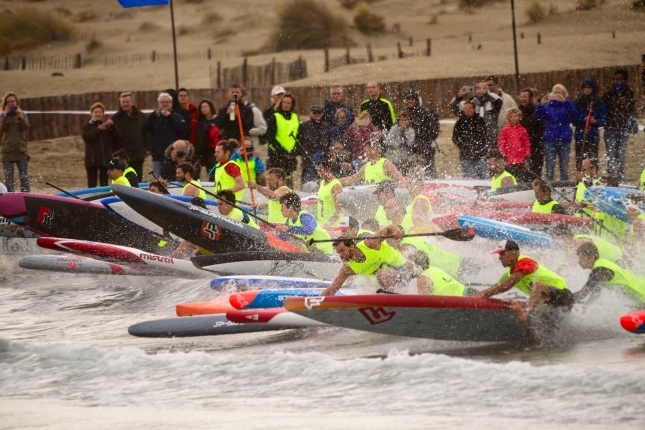 France has highlighted yet again why it’s considered a powerhouse in the world of paddling, with the French National Titles showcasing an incredible depth of talent as a mix of superstars and young guns shared the podiums on the weekend. 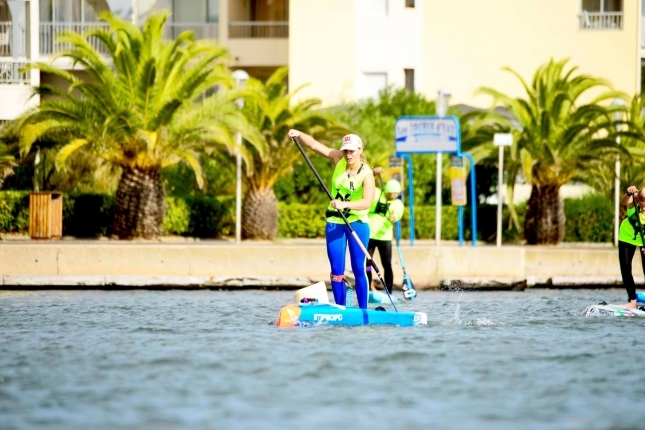 Held in the Mediterranean town of Cap d’Agde, the 2017 edition of the “Championnat de France de Stand Up Paddle” produced four new champions, with Martin Vitry, Titouan Puyo, Melanie Lafenetre and Amandine Chazot sharing the spoils and staking a claim for a spot on Team France at the 2018 Worlds. Titou showed the kids how it’s done on Saturday by taking the title in the small but fun little beach break waves, while the under-rated Melanie upset Team France representative Amandine to claim the women’s crown. 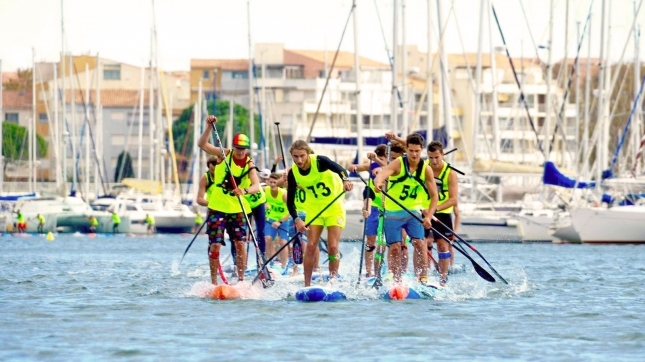 The men’s podium was flipped on Sunday though, with Martin overpowering the tight group of contenders during the long, flat march through Cap d’Agde’s harbour. Looks like it was a tight pack from start to finish, with just four seconds separating the top three and less than 20 seconds difference between the winner and seventh-place finisher Noic Garioud. Impressively, there was well over 100 starters in the distance race including more than two dozen women, which would probably make this by far the world’s largest national championship. Amandine returned to form in the women’s distance race to set herself up for a second stint on Team France, though once again Melanie looked very good and was only a few seconds behind at the finish. Though France’s number one woman, Olivia Piana, was missing from the action on the weekend, perhaps due to the Federation’s decision to once again hold the race in a rather cold, out-of-season time period (though in defense of Surfing France, the Federation does pretty much everything else right and is arguably the only major ISA-affiliated national governing body that appears well organised). Unlucky not to pick up a title but clearly one of the standouts all weekend was Clement Colmas from New Caledonia. Though with a pair of runner-up finishes, the 16-year-old did stake his claim for the title of “World’s #1 Junior Dark Horse” after showing he’s just as good in the waves and flat as he is in his beloved downwind bumps. The fact that well-known international name and Team France regular Arthur Arutkin was pushed down to fifth-place on Saturday perfectly illustrates just how deep the Frenchies are rolling these days, with another junior dark horse candidate Tom Auber finishing in between Arthur and the podium. I’ve long given France a spot in the “Big Four” alongside Australia, Hawaii and the United States, though one could easily argue the team deserves its own spot on top these days. 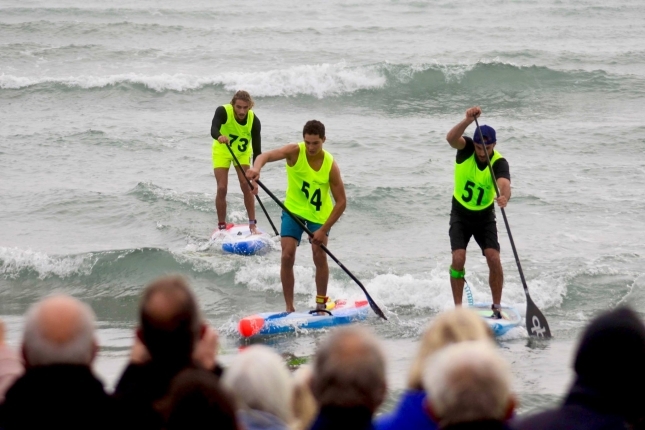 The nation is home to a near-record number of athletes on the world rankings, while the French would have won the past two ISA Worlds (Fiji and Denmark) if it was a SUP-only event. Australia retained their title in Denmark largely thanks to their world-beating prone paddlers, and although France has some medal-contending prone athletes of their own (Flora Manciet and Julien Lalanne), the Aussies are going to be tough to beat if the current format stays in place. The ISA said publicly in Denmark that they’d be keeping prone for next year’s event (which looks set to be heading back to South America and should be confirmed shortly), which means Australia will probably start favourites once again. 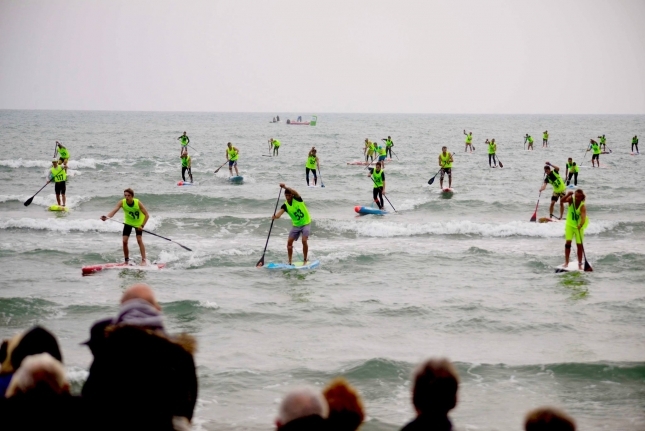 But if we focus purely on the SUP racing side of things, I’d argue France is on top of the world right now. And this is said without even considering the frightening fact that in reality, France technically incorporates Tahiti, which would instantly make their team even more superior should the two “nations” combine i.e. in an Olympic program. NOTE: This is only one part of the qualifying for Team France; The federation will choose an additional two events next summer and results will be tallied to select the team for South America.